Angel healing, also know as Angel Therapy, is a form of energy healing for balancing the individual with the assistance of Angels. Working with the Angelic realm for energy healing is a gentle way to promote health on all levels: mental, emotional, physical and spiritual. Angels are messengers of God and they want to help us in life with their guidance and calming effect. All we need to do in order to receive their help, is to call upon them. There is a great comfort to know that there is always someone who has got your back. 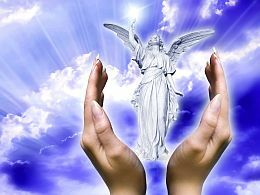 Your Guardian Angel and the Archangels are always there for you, ready to assist in best ways possible. So what are Angels, and how can they help? Angels are highly evolved and fully integrated in the higher dimensions. They are messengers between God and humans. Since they are purely spiritual being they have no space or time restrictions, and can help many people in different places at the same time. This means that they are never too busy for your problems. In fact, your calling upon them is sweet music to their ears. Angels are androgynous, neither female or male, but they sometimes present themselves as either a feminine or masculine energy. Guardian Angels are spirits who are assigned to protect and guide a particular person or place. Guardian Angels is part of Judaism, Christianity, and Islam, and it is said that every person has at least one Guardian Angel. Believers explain that our Guardian Angels have been with us even before we were born, to plan our life purpose. This means that your personal Guardian Angel was involved with you in the planning of your lifetime, and agreed to help you in your plan for this lifetime. Your Guardian Angel has already accomplished and mastered everything that you are involved in during this lifetime, and this is why you have chosen this particular spirit to protect and guide you. Your Guardian Angel is always with you, knows your thoughts and feelings, and is ready to help you at any time. Your Guardian Angel can let you know if you are on the right track in life, and how to follow your life’s purpose. You only need to learn how to receive guidance and help from your Guardian Angel, because your Guardian Angel loves you unconditionally and is always ready to communicate with you. Spirit guides are often confused with Guardian Angels. Spirit guides are usually deceased relatives or friends, that sometimes take the role of a Guardian Angel when the need arises. They work on the etheric plane to give us love, protection, and support. The difference between spirit guides and Angels, is that Angels are evolved to a higher frequency. Angel healing often involves working with the Archangels. An Archangel is an Angel of high rank. Each Archangel has his own color/ray of his aura, reflecting the energy frequency. The Archangels can be called upon for different purposes. No problem is too small or too insignificant for the Archangels. You never ”bother them” and can call upon them whenever you want. The Archangels will come to you in a few seconds, because they can be in many places at one time. Archangels are associated with the religions of Judaism, Christianity and Islam. Here is a short description of some of the most well known Archangels, in alphabetical order. Learn about their healing powers; their colors, what they stand for, and what they can help you with. Archangel Chamuel – is associated with color pink – and stands for unconditional love, divine love, compassion, forgiveness, and creativity. Archangel Chamuel is the ”Angel of Love” and channels God’s love. He can help with self-esteem issues and situations where forgiveness is required. Archangel Chamuel works with the heart chakra and can help you open up your heart and expand it on all levels. Archangel Gabriel – is associated with colors white/gold – and stands for purity, sound, vibration, communication, intuition, clarity, and joy. Archangel can assist with money and resources. He will also help you with hard choices and give you the discipline and guidance to take the first step towards your higher path. Archangel Michael – is associated with color indigo – and stands for courage, truth and protection. Archangel Michael protects against fear and toxic energies. He can bring peace to relationships, problems with family, friends and even strangers. 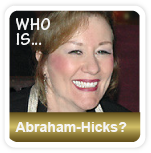 Archangel can also assist with your career and purpose. Archangel Raphael – is associated with color green – and stands for healing, love, communication, knowledge and vision. Archangel Raphael is very practical and can assist with science, mathematics and alternative medicine. Archangel Uriel/ Auriel – is associated with colors purple/gold – and stands for security, inner peace, harmony, hope, wisdom, understanding, compassion, transformation, and change. Archangel Uriel can help you release the past, fears and anger. He can also solve court problems and end wars. Ask for Archangel Uriel if you are going through major changes and want a smooth transition. Archangel Zadkiel – is associated with colors violet /silver – and stands for joy, freedom, forgiveness, justice, emotions, materialization, and creative visualization. Archangels heal emotions and negative beliefs and can help with painful memories and forgiveness. He can help you find your inner joy again. Archangel Zophkiel/ Jophiel – is associated with color yellow – and stands for courage, art, inspiration, beauty, perfection, wisdom, clear-seeing, knowledge, understanding, and balance. Archangel can help with addiction problems. How does Angel healing work? Healing with the Angels can be done in different ways. Some Angel energy healers work with Aromatherapy and/or Crystal Healing Stones, to utilize the healing energy of Angels. This can assist the healer to get in the right ”mind-frame” to accomplish the healing, as well as strengthen the connection to the Angelic realm and/or to a specific Angel. For example, if the Angel healer wants to call upon Archangel Raphael (see description above), useful essential oils that resonates with Archangel Raphael may be: myrrh, sandalwood, mints, tea tree, lemongrass, ylang-ylang and rosemary. Archangel Raphael is associated with colors green and yellow, and useful crystal healing stones for the connection with Archangel Raphael often have these colors, for example: green fluorite, malachite, emerald, aventurine, and yellow calcite and citrine. An Angel healing session usually lasts 30-60 minutes. Precare and aftercare, for a period of 24 hours or more, is important for maximum benefits. Make sure to drink plenty of water before the healing session, since water help the healing energy to flow in your body. It is also very important to drink lots of water afterwards, as you may need to clear toxins that are released during healing. Avoid any stimulants, such as coffee, tea, tobacco and alcohol to get the best out of your Angel healing treatment. Also, make sure you relax afterwards, as this helps the natural healing process. Healing with the Angels is a wonderful experience. However, you don’t always need an Angel therapist to experience healing, because you can also receive guidance and healing from Angels for yourself. Here’s how it’s done. If you wish to receive guidance from your Guardian Angel, it’s important to understand that your Guardian Angel vibrates on a very high frequency. In order to perceive and interpret the guidance, you must vibrate on the same frequency as your Guardian Angel. You need to vibrate on the frequency of unconditional love, which is the highest frequency, to receive healing with the Angels. Below are some simple steps on how to work with Guardian Angels. These steps will help you raise your vibrational frequency, so that you will be able to receive guidance and Angelic healing from your Guardian Angel. You need to match the frequency of your Guardian Angel to open up the ”communication line”. As you relax, you automatically raise your vibrational frequency. So begin by taking deep breaths. Focus on your breath; in and out, in and out. Enjoy the feeling of letting go, and being in the present moment. Now, it’s time to raise your vibrational frequency even more. The best way to match your vibrational frequency with your loving Guardian Angel is to focus on love. Think about the people you love, things that you love to do, the beautiful miracles in nature with its flowers, sunrise etc. and feel how the love within you grows. You have now opened up yourself to the Angelic realm and can start your communication with your Guardian Angel and receive guidance. Focus on the question that you need help with. Ask your Guardian Angel for help, and ask your Guardian Angel to interpret your feelings, and then release/send the question to your Guardian Angel. Return your focus to your breathing and pay attention to your feelings. Wait for the answer. The answer can come in different ways, through your four main psychic senses. The answer may come as a taste, smell, feeling, or a ”gut feeling” (clairsentience), or as a thought where you simply ”know” the answer (claircognizance), or you may actually hear the answer through your internal voice (clairaudience), or you may receive the answer through a vision (clairvoyance). Most people have one primary psychic ability (clair sense) that comes more naturally to them, but some people have a combination of a few, or even all of them. If you can´t perceive or interpret the answer, there is another way that is very simple and equally beneficial. Simply ask your Guardian Angels to release the problem that you have questions around. Let the Angels and the Universe take care of the problem. When you release your worry, fear, anger, or any other resistant feeling, you allow the answer and solution to manifest. As you release the low frequency energy (the problem), you automatically raise your own frequency, and you thereby allow the higher frequency energy (the solutions) into your life. 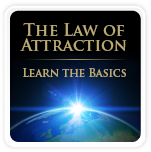 Remember that you need to be on the same frequency as the solution to be able to receive the solution, according the Law of Attraction. The trust of a higher power is truly amazing since it releases your inner resistance (and raises your vibration) so that the question can be answered. Say to your Guardian Angel: ”I give myself permission to release this problem that I have had with ….. and I ask you, my Guardian Angel, to help me release it. Thank you my Guardian Angel for your help. I am now free to move forward with peace and love in my heart”. You can call upon the Archangels whenever you want. The Archangels always hear you and they always answer your questions or prayers. But, in order to interpret and receive their guidance, it’s important to match their ”communication link / frequency line”. You need to vibrate on the same loving frequency as the Archangels, to receive healing with the Angels. Below are some simple steps on how to work with Archangels. These steps will help you raise your vibrational frequency, so that you will be able to receive guidance and Angel healing from the Archangels. The way to do this is by relaxing. Begin by closing your eyes and take deep breaths. Let go of any resistance and focus on your breath; in and out, in and out. Now, focus on the feeling of unconditional love to raise your vibrational frequency even more. If you are like most people, you will probably have only one primary psychic ”clair sense” that comes naturally to you. However, some people have a combination of few, or even all of the psychic clair senses. When you call upon the Archangels and ask them to ”solve the problem for you”, a wonderful thing happens – you automatically release your worries and inner resistance that is related to the problem. This trust of a higher power, is a very powerful thing. When you relax and trust the Archangels to do the work, you automatically do what is needed to create changes; you allow yourself to vibrate on a higher level – where the solution is – and when you become a match to the solution, the solution can manifest, according to the Law of Attraction. What is Angel healing used for? Angel healing can be used for all purposes to heal body, mind and spirit. It can be very useful for people who suffer from any chronic disease, since it heals on all levels. It is a gentle, yet powerful healing system, that can be used in conjunction with standard medical treatment. Angel healing can also be used with other natural therapies to strengthen the effects. Angel healing promotes a deep sense of relaxation and well being. It helps you balance your emotions, release energy blocks, and alter your consciousness. Angel healing is also said to increase blood and lymph flow, aid the detoxification system, relieve aches and pains, and improve the skin health. Other potential benefits can include increased motivation, clarity and calmness.